If you are dealing with weight gain, wrinkles, or fatigue, you may think that you are simply facing the signs of aging. The truth is, the most powerful anti-aging substance available is not a medication or an expensive treatment. You can begin reversing the signs of aging simply by preparing your own nutritious and healing food—bone broth. Bone broth is simply a broth made with the bones of animals. Bone broth has been used in various cultures for thousands of years, both as a way to use all of the available parts of an animal and for medicinal purposes. 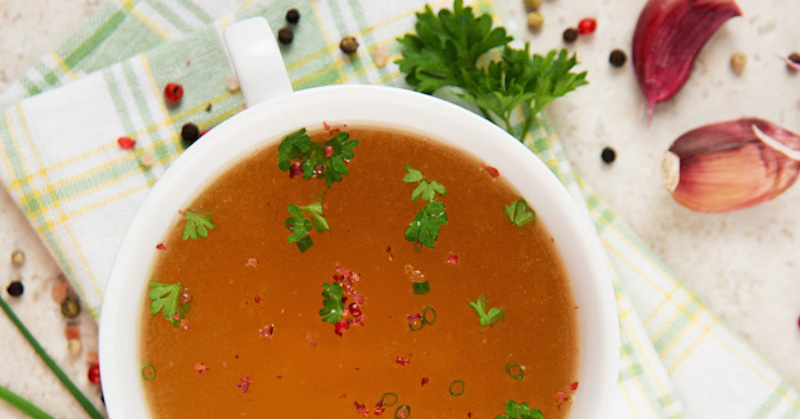 While bone broth is incredibly cost effective, it also provides a wide range of health benefits as it heals the digestive system, including these 6 reasons for drinking more bone broth every day. See also: How to make your own bone broth. One of the most researched benefits of bone broth is its ability to help alleviate joint pain. Your joints need collagen to protect ligaments, tendons, and tissue. Collagens belong to a family of biomolecules which includes glycosaminoglycan (GAGs). These GAGs are needed for proper joint health. Bone broth is full of GAGs that can help protect your joints. Bone broth is made from bones, which naturally contain collagen. By heating the bones in broth, you can extract this collagen. Drinking just one cup of bone broth per day can provide you with additional collagen that may alleviate your joint pain. Some people spend a lot of money on health care for their skin, nails, and hair, yet one of the best things you could do for your appearance is drink bone broth. The collagen found in bone broth is often used in expensive skincare products. By consuming more of this food, you could promote healthy skin, and in many cases, reverse skin problems. 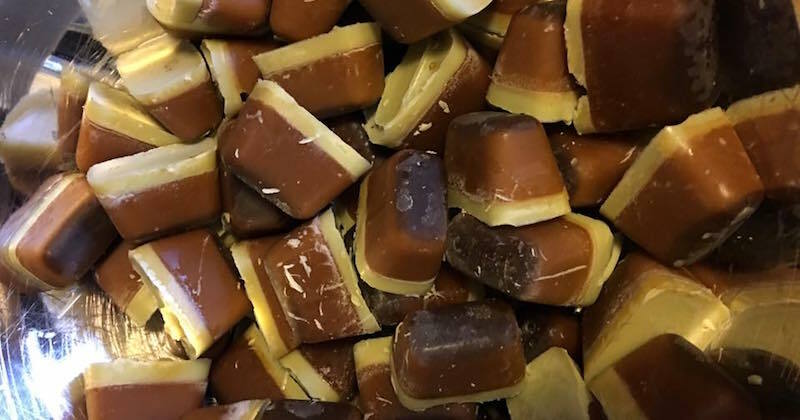 Bone broth contains gelatin, that is the “glue” to stick things together (naturally), with its impressive range of 19 amino acids (protein building blocks). Leaky gut syndrome is a condition where your gut lining is perforated that allows small food particles to seep through the gut lining. This condition causes many digestive issues that could also lead to autoimmune diseases if left untreated. Bone broth is the “glue” that will help patch up the “leaks” and help remedy digestive issues. Drinking a serving of bone broth every day will help reduce the symptoms such as constipation, diarrhea, food allergies, and other digestive problems. Reduce your dependency on meat by drinking bone broth. You get almost all the nutrients you may get from meat by drinking organic bone broth. The gelatin, collagen and protein found in bone broth can help replace some of the nutrients that are typically found in meat. For an effective detox program, you will need to detoxify your liver as it is the main detoxification organ in your body that filters toxins for elimination. Every day, toxins find their way into your body through your food, water, air and the environment around you. Your liver is responsible for filtering waste, so it is natural that these wastes will accumulate over time. Glycine in bone broth supports liver health. Drinking bone broth regularly helps you achieve your goal of improved liver health. One of our readers, ManuelBrenda Roman, makes her bone broth in thick concentration and cubed them. This can be used as broth stock and is handy for making individual servings—just pop in however many cubes you need! Awesome idea! This is only a short list of the benefits of drinking bone broth. You’ll be amaze to find that after consuming bone broth for a period, wrinkles will be reduced and your hair and nails will seem healthier. If you have considered purchasing expensive medications to fight the signs of aging—save your money and prepare your own bone broth. A recipe would be nice.